I saw this video today, and I was impressed on a number of levels. First off, Walrus Audio is making some amazing pedals. Love what they do and how they go about doing it! Side note – I first learned about one of my favorite bands, Other Lives, following Walrus Audio. Musically, I get what these guys are about, so there definitely is a connection. Another reason I’m impressed with this video, I love Flaming Lips. And finally, I really enjoyed seeing the ‘creative’ process by using a pedal. Steven does a great job exploring with this, and not focusing on rolling off volume knobs and playing riffs, but instead looses himself. I thought this demo was quite inspiring! The demo is for the Walrus Audio Janus Tremolo Fuzz which is a very interesting pedal. As the name applies, it combines a tremolo effect with a fuzz. It takes things further by including dual joysticks that allows you to manipulate the tremolo and fuzz in unique ways. The tremolo and fuzz effects can be isolated (used separately) or in combination. The trem joystick controls the rate and depth. The fuzz joystick controls the fuzz level. Additionally, there are separate controls for volume and blend. See what I’m talking about? Quite cool! 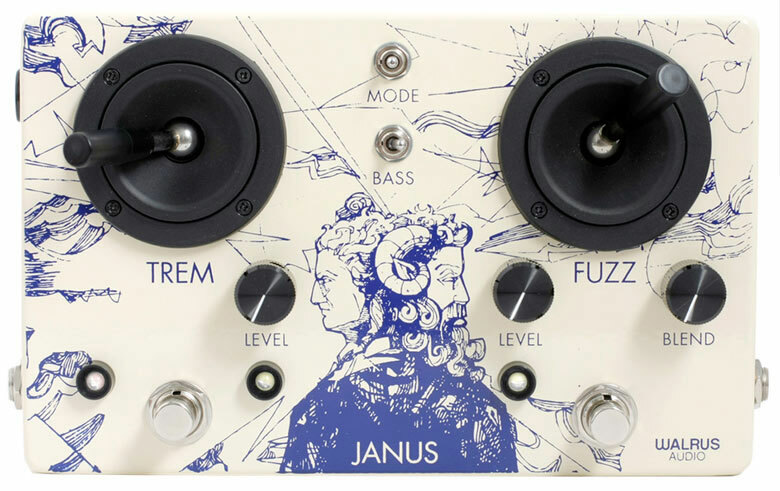 You can pick up a Walrus Audio Janus Tremolo Fuzz for $289 directly from Walrus Audio. Let me know what you think by commenting below! what is the green gizmo? Thank you for this little slice of perfection. Now, to find a way to convince my wife that I need to own this. Suggestions anyone? Oh, and we have twin 7 year old boys, and I’m a teacher…now, who’s up for this challenge? This pedal is amazing, Walrus Audio is producing some high quality pedals. Fun to watch him experiment with it.